Every website is created to fulfill different objectives such as providing online services, marketing of brands, operating an online store, or publishing individual work to name a few. 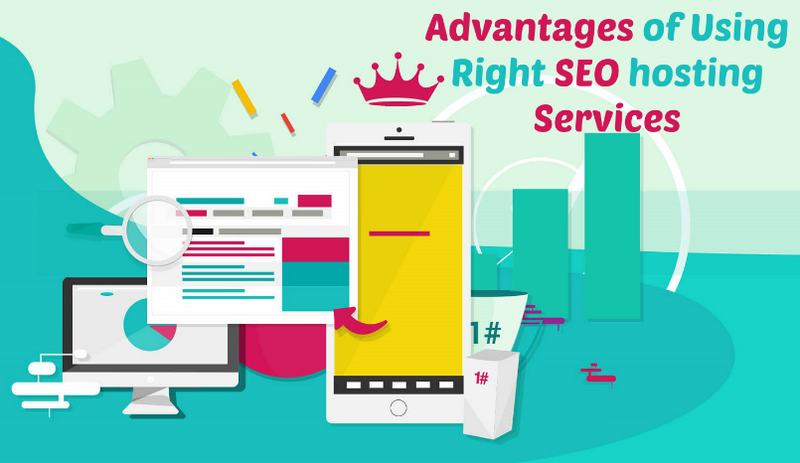 In spite of the diversity of objectives, each and every website must be supported with right SEO hosting tactics to generate desired traffic in the form of targeted visitors. Before understanding multiple SEO techniques to drive the right prospects to your website, let us find out why you need to have a right strategy for improving footfall. In the absence of a flawless SEO strategy, it is impossible to pull the desired quality as well as the quantity visitors to your website. Appropriate SEO strategy involves the use of cutting-edge SEO tools to enhance the probability of ushering relevant visitors to the site. There are a number of user-friendly methods of SEO enhancement that have been practiced even by beginners or non-technical individuals. The SEO strategy must focus on an elevation of search engine ranking so that the website appears on the first page of sear results. This is an essential objective due to the fact that majority of people do not go beyond the first page while searching for the desired site. This underlines the significance of SERP (Search Engine Ranking Position). The higher SERP achieved by your site is better for augmentation of visits. Almost all SEO tactics revolve around the parameters taken into consideration by leading search engines and consist of a wide spectrum of methods, strategies, and activities to improve site visibility in terms of search results. Search Engine Optimization plays an important role in the enhancement of reputation and credibility of the website by improving overall relevance of the content with respect to the type of visitors and the category of information being looked for. The most vital and obvious step to begin SEO implementation is to hunt a web hosting service provider that offers SEO optimized hosting. It is better to focus on few and selective SEO tools rather than going all out by adopting every available SEO tool. Re If you are looking forward to achieving instant results, then there is hardly any relevance for a long-term SEO hosting strategy. Selection of a hosting platform should be next on the agenda after finalization of the SEO optimized hosting provider. Ideally, you must select a hosting plan that takes care of routine tasks and overall management. Secondly, a right hosting company is also essential for achieving faster page load speeds and uninterrupted visibility of site with negligible downtime. Therefore a fully managed hosting solution should be considered. Since the hosting provider looks after mandatory operations as well as routine tasks, you will have ample time to pursue your SEO objectives including generation of quality content. The overall appeal and look of your website depend solely on the selection of the theme. There are themes, which can even accelerate page loading of the site. Higher Search Engine Ranking Positions can also be achieved with help of a cleaner code. Themes need to be capable of boosting Search Engine Optimization and should offer a choice of heading tags as well. Use of plugins is one of the most useful SEO tactics as these lightweight software applications are leveraged for improvement of site’s ability to support SEO and achieve higher SERPs. You can procure SEO specific plugins to foster your SEO strategy and also to enable site-map creation. Visitors can be assisted in their search by posts’ permalinks that are nothing but permanent URLs. If you are using WordPress, then you can even find automated options that may consist of post name or custom structure. In order to help users get the required information they are looking for, you should carefully select a structure of post-name since it hardly information with any relevance. Search engine bots are responsible for identifying the presence of relevant content so that the site can be assigned the appropriate ranking position. This underlines the importance of heading tags that should be applied not only to pages but also to posts. In case of WordPress platform, you can find a number of options to structure your site’s posts and content. Keywords represent keys to successful SEO hosting and right keywords can be found by undertaking an in-depth keyword research. Keywords should be spread across all content, blogs, and articles to make sure that visitors are bound to reach your site by entering these words in the browser window. Some of the tactics may not appear to directly impact SEO hosting, but that does not reduce their importance in any way. In fact, a sitemap can be used to add a unique character to the website. Search engine bots are also able to get important information with help of a sitemap.